"In this world, nothing is certain but death and taxes," Benjamin Franklin once said. Setting aside the issue of mortality, we will focus on the question of inheritance – transfer of rights and duties of a late natural person (testator) to other persons or/and entities. Such transfer may be regulated by the testator in advance in the form of last will and testament; otherwise, it will be performed in accordance with the applicable inheritance law. Assuming one has decided not to take chances and distribute their future legacy via testament, he or she should first of all be aware what exactly can and cannot be transferred to their heirs. 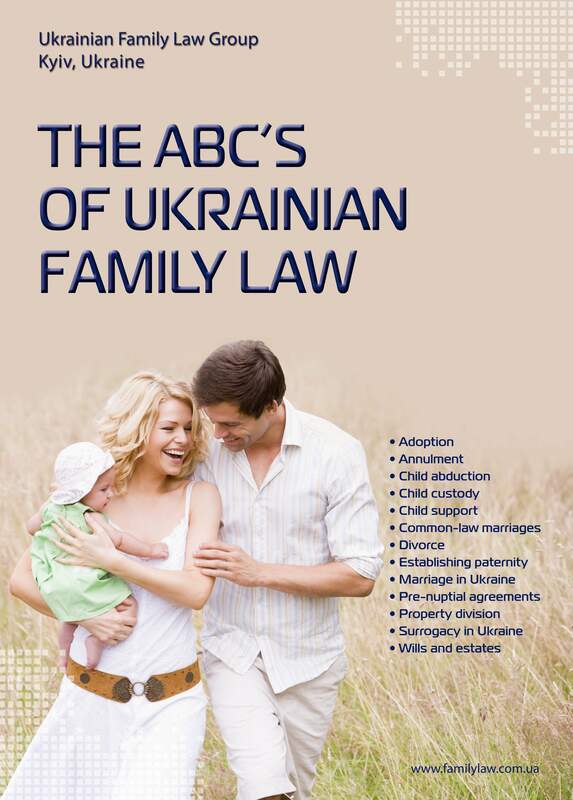 In accordance with the governing provisions of the Civil Code of Ukraine, inheritance includes all rights and obligations of testator, belonging to them by the moment of their death. Significantly, this provision presumes a certain range of rights which are impartible from the person of testator, terminate with their death and cannot, therefore, be inherited. These rights include, among others: personal non-property rights, like the right for life or freedom, right for participation in any institutions/organizations (if not otherwise determined by the founding documents of any separate institution/organization), right for reimbursement of damage caused by mutilation or other damage to health, right for pension, alimony, social aid or other legal payments, rights and obligations of a person as creditor/debtor, if such obligation is inseparably linked with person of the creditor/debtor, and cannot be performed by any other person. Thus, a testator may bequeath to the successors all of his/her rights and obligations at the moment of drafting a testament, as well as rights and obligations that may arise in the future. A testament may be drafted for all inheritance or part thereof. As a consequence, if it defines only rights – the obligations will be divided between the heirs in proportion to their share of rights, and inheritance, not included into testament, will be transferred in accordance with the principles of the inheritance law. In this case, the heirs specified in testament may also receive a share of inheritance per law. There are also specific cases of inheriting certain rights and obligations, which the law provides for separately. For instance, if a land plot is inherited, it is transferred to new owner(s) with preservation of its designation; heirs of a building or construction will inherit the property right or usage right for the land plot it is located on or necessary for its maintenance. If a land plot, other natural resources or premises are inherited, testator may also establish servitude thereon for other persons' needs. Part of joint common property (e.g., of a married couple) may be bequeathed, even prior to its definition and detachment. Salary, pension, scholarship, alimony, other social payments which were due to testator, but were not received during their life are paid to their family members, and in absence thereof are included into inheritance. Bank deposit may be inherited either by direct instruction in testament or by request of testator to the bank. Insurance payments are inherited on a general basis, except if the insured person (testator) appointed another person to receive this payment in case of their death; such payment will not be included into inheritance. Certain rights and obligations do not terminate with the death and can be inherited, including rights and obligations under agreement for rent of dwelling with further buyout; right for compensation of damage in testator's contractual relations; right to collect forfeiture (fine, penalty) for non-performance by testator's debtor of their contractual obligations, which were awarded to testator by court during their life; compensation of moral damages awarded to testator by court during their life, etc. Obligations include reimbursement of any damage caused by testator, moral damage caused by testator (if obligation was awarded by court during testator's life), to pay forfeiture (fine, penalty) if such obligation was awarded by court during testator's life Notably, reimbursement for the above cases should be performed by the heirs within the limits of value of inherited property (court may even decrease amounts to be reimbursed if they appear disproportionate as compared to the value of inherited property). Apart from rights and obligations received from the testator, the heirs are legally permitted to reimbursement of any expenses for support, treatment and funeral of testator, but not more than for 3 years prior to their death. A testator can also impose subsequent obligations upon the heirs, such as handling their personal papers, defining funeral place and form, as well as oblige them to perform certain actions. A testator may also entrust one or several heirs with performance of certain actions in favor of a third person named in the testament, at the cost of inherited property. Such entrustment is called testament bequest (legatum). Subject of legatum may be an instruction to hand down to a third person (the bequeathed) a certain object or money. 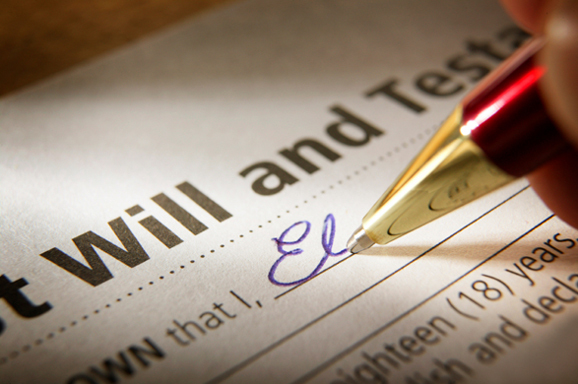 Both legal heirs and those who do not have a succession right may be bequeathed. A separate type of legatum is an obligation of heir who inherits a house (apartment, other residential building) to permit residence therein to another person. Such residence right remains with the subsequent change of building owner, it cannot be alienated, transferred to another person or further inherited. An heir bound by a testament bequest is obliged to perform it only within the limits of real value of the inherited property, having deducted testators' debts due from this property. Legatum is invalidated in case of death of the bequeathed prior to opening of inheritance. One more way for testator to introduce additional obligations for heirs is to draft a testament with condition. Under such testament, emergence of inheritance right will depend on condition set by testator. This condition may be either connected with heir's actions or be independent from them. Possible circumstances to be set as condition in testament are: appearance of other heirs, residing at definite place, birth of child, education, etc. The law only states that such condition should not contradict the law or the society's moral values. Notably, the condition cannot be declared invalid by heirs on the grounds of their ignorance thereof or if occurrence of the conditioned circumstances does not depend on their will. Heirs can be natural persons, alive at the moment of inheritance, or conceived before death of testator and born after the inheritance vests. Per testament, legal entities and other participants of civil relations (Ukrainian state and foreign states, Crimea, territorial entities) may also inherit rights and obligation from testator. Possible heirs may include any person(s), per testator's choice, regardless of family relations between them and testator, other participants of civil relations (as per above). Testator may exclude any of legal heirs from the testament without indicating reasons, except those entitled for obligatory part in inheritance by the law. If excluded person dies earlier than testator, then their heirs can become testator's heirs. Right of inheritance arises at the date of opening of inheritance (which usually corresponds to the date of death or the date of legally declaring a person dead). Generally, the heirs are indicated in the testament. However, in several cases legal heirs (as a rule, relatives) may also be entitled to their part of inheritance. This usually occurs in absence of testament, as well as its invalidity. Next case is non-acceptance of inheritance by heirs per testament or their refusal to participate. Finally, if not all amount of inheritance is included into the testament, non-included part is inherited by legal heirs in accordance with general procedure (even if they are simultaneously heirs per testament). Right for obligatory participation in inheritance belongs to the following categories of potential heirs: minor, underage, disabled children, disabled widow(er), disabled parents of a late person – they inherit half of what they would have received by law if there was no testament, regardless of testament instructions (this inheritance may be only decreased by court, taking into account relations between heirs and testator, as well as other essential circumstances). As a rule, obligatory part of inheritance includes furniture and things of residential use. Ukrainian legislation provides for obligatory written form of testament, with indication of place and date of its drafting and personal signature of the testator. In separate cases, when the testator cannot sign the document personally due to physical limitations, it can be signed by another person in the testator's presence. As a rule, a testament should be certified by notary. In isolated cases, this procedure can also be performed by other civil officers, including chief medical officer of a hospital, elderly care or nursing institution, if testator is currently staying under supervision of such institution, captain of a sea or river vessel under Ukrainian flag, for testator sailing in such vessel, head of a penitentiary institution, if testament is drafted by a prisoner, etc. Testator is entitled to cancel or amend his or her testament anytime during their life. Each new testament cancels the previous in whole or, where possible, only the contradicting part. If the new testament is declared invalid, the previous one is not renewed, except for the cases when invalidity is declared upon the grounds of temporary inability of a person to realize their actions or per reasons of duress. Amendment and/or cancellation of testament is performed in person, and the same requirements apply to certification of amendments as to certification of testament itself. The law guards the secrecy of testaments. It requires that notary (or other officer who certified the testament), witnesses and the person who signed the testament instead of testator, not to disclose the fact of drafting testament, its contents, amendment or cancellation. The testator has a right to a secret testament – it is submitted to the notary in a sealed and personally signed envelope. The notary leaves certification mark on the envelope, without familiarizing with its contents. Contents of testament should be set in such a way that no misunderstandings arise per opening of inheritance. Interpretation of testator's will is performed upon opening of inheritance. Invalidity of testament may be claimed per the following reasons: absence of legal ground for testator to draft such testament, breach of form and/or certification requirements, an interested person's claim to the court that the intention expressed in testament was not free and did not correspond to real will of testator. Invalidity of part of testament does not affect its other provisions. (vii) ensuring performance of actions conditioned in testament. In conclusion, last will and testament is the best way to ensure that your funds, property and personal effects will be distributed after your death according to your wishes. Failure to have a testament at the time of your death leaves your estate wide open to conflicts, problems, disputes over property, etc. We strongly recommend retaining a reputable attorney to prepare the final testament.